Call The Oaks Bar & Grill at (660)745-3030 to place your reservation, or email us! The Oaks Bar & Grill is conveniently located between Carrollton and Chillicothe and has been family owned and operated since 2000. 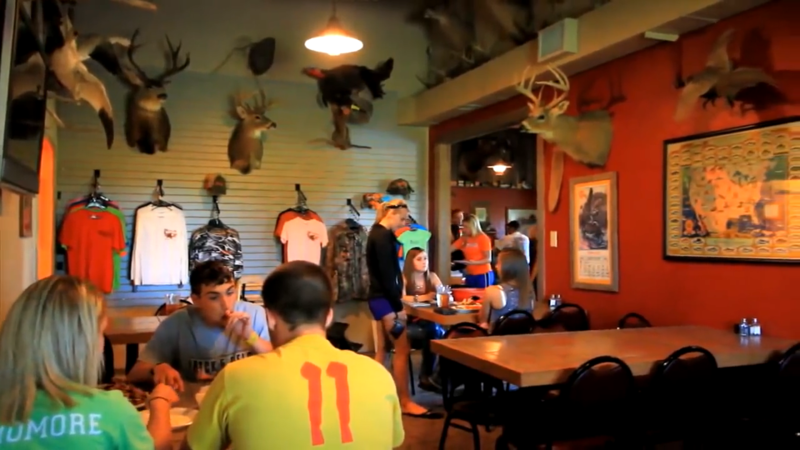 The Oaks Bar and Grill operates inside the finest North Missouri shotgun shooting sports complex, Pin Oak Hill. The restaurant received its own name and logo in 2017. Lunch is served on Saturday and Sunday from 11:00 am – 2 pm. Dinner service is Thursday through Friday from 5:00 – 9:00 pm; Saturday from 4:00 – 9:00 pm. The Oaks Bar & Grill restaurant has the look and feel of a hunting lodge. You will always be sure of a friendly welcome as you join your fellow diners. When you settle in for your meal, you will be surrounded by the unique scenery of the beautiful Missouri countryside. Whenever you join us for dining, you will find a wide variety of quality dining options. Our kitchen ensures our menu is seasonal with the freshest of ingredients. If you are just looking for a quality meal at home, use our “To Go Menu” and have your meal specially made and packaged for you! The Oaks Bar & Grill provides American country dining at its best. Not only is our restaurant’s atmosphere comfortable and cozy, but our entrees are designed to make you feel right at home. From our mouth-watering steaks to our smothered chicken breast and seafood platter, we’ve got something everyone will enjoy. Our friendly wait staff will gladly serve you and ensure that your meal is cooked to your specifications. All of our dishes are prepared with exemplary meats. 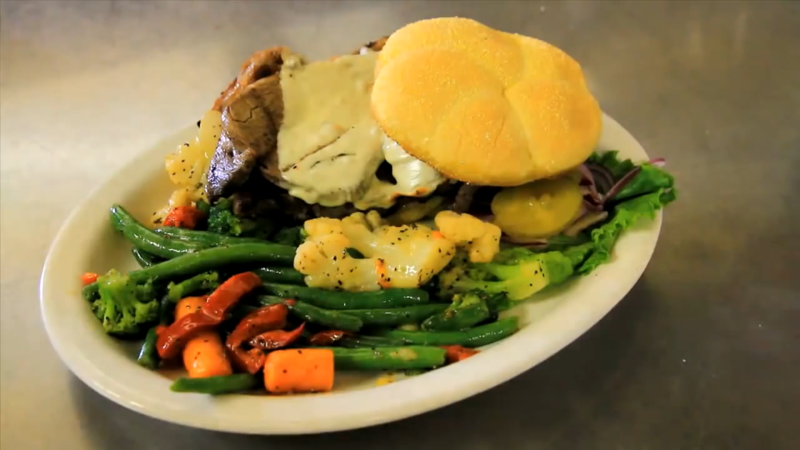 Our beef is signature hand cut “Certified Angus Beef” and cooked to your satisfaction. Our menu features a diverse selection of cuts such as sirloin, rib eye, and filets. Cooked over an open flame, your steak will be seared to perfection. For those looking for mouthwatering entrees other than steaks, we offer several great chicken and seafood selections. We also have fantastic appetizers, salads, and sandwiches for those looking for a meal or snack on the lighter side. Our bar is fully stocked, and we offer several drink choices. We offer selections of domestic and imported beer, mixed drinks and shots of liquor, several wine selections as well as specialty mixed drinks. We also offer a kids menu for children age 12 and under. From chicken strips to cheeseburgers, we make sure to have menu selections the whole family will enjoy. Sliced grilled chicken or steak, sautéed onions and melted Pepper Jack cheese between two flour tortillas. 4 hand-breaded, deep-fried tomatoes topped with cheese and our homemade pico de gallo sauce. Lager beer lends a smooth finish to the sharpness of the cheddar cheese in this warm and hearty dip. Served with pretzel bites. A duo of fried risotto bites. Three stuffed with spicy sausage, the other three stuffed with spinach and artichoke. Our unique house made spinach and artichoke dip is paired with freshly prepared tortilla chips. Sweet yellow onions double dipped in a premium draft beer batter. Traditional bone-in wings tossed in a spicy buffalo sauce. Freshly prepared tortilla chips topped with 3 types of cheese, bacon, jalapenos, and your choice of meat. Garden fresh green leaf lettuce topped with real bacon, egg, red onion, radishes, and mushrooms. Served with our own house vinaigrette dressing. A larger version of our house salad topped with 8 ounces of fresh grilled salmon. Your choice of charbroiled chicken breast or crispy chicken bites placed on top of a large house salad. 8oz of tender sirloin grilled to order and placed over a large house salad. ½ lb Hand pattied and perfectly grilled hamburger. Thinly sliced Certified Angus Beef ® Ribeye steak served on a toasted sourdough bun. Make it a Philly with onions, green peppers and Swiss for $2 more! Corned beef with Swiss cheese and sauerkraut served on marble-rye bread. Tender hand-breaded chicken served on a brioche bun. Make it a Buffalo for $1 more or a Club for $2 more. A lightly seasoned grilled chicken breast served with onion and pickles on a brioche bun. Make it a Buffalo for $1 more or a Club for $2 more. Sliced chicken breast, bacon, Pepper Jack cheese, lettuce and onion wrapped in a flour tortilla. Hand-breaded pork cutlet deep-fried to a golden brown. Sliced chicken breast topped with grilled onions, peppers and melted Swiss cheese. Served on a toasted sourdough bun. We proudly serve our customers only the best meat in the industry: Certified Angus Beef®. Your choice steak is hand cut and trimmed by us for quality! 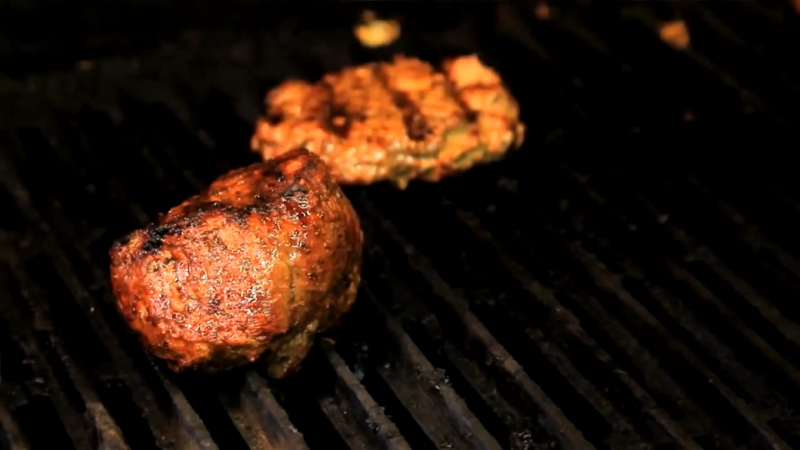 All our steaks and chops are cooked on an open flame grill! Not responsible for steaks prepared over medium. Thick and juicy Certified Angus Beef® Sirloin charbroiled to perfection. A tender and juicy Certified Angus Beef® 8oz filet cooked on an open flame to your preference. HUGE Certified Angus Beef® 20 oz thick and juicy Ribeye grilled to perfection. Melt in your mouth brisket seasoned with a special rub and smoked in natural wood. 12 ounces of Certified Angus Beef® topped with Pepper Jack cheese and smothered with sautéed mushrooms and onions. Flame grilled chicken topped with Pepper Jack cheese and smothered in sautéed mushrooms & onions. Two tender chicken breasts seasoned and seared to perfection. Sliced, grilled chicken breast & tender broccoli in a rich and creamy house made Alfredo sauce served over pasta with garlic bread. Shrimp and scallops in our rich and creamy house made Alfredo sauce served over tender pasta with garlic bread. 8 ounces of fresh Atlantic salmon seared on an open flame. Includes our awesome salmon filet and generous portions of boiled shrimp and fried shrimp. Five JUMBO shrimp breaded and fried to a golden brown. One pound of perfectly seasoned shrimp. Golden seared on the outside and deliciously tender on the inside. Served in a garlic butter sauce. Consuming raw or undercooked meat, poultry, eggs, seafood or shellfish increases the risk of foodborne illlness. 20% gratuity for parties of 6 or more. Pin Oak Hill hosts private functions of any type, from weddings, corporate groups, business meetings or fundraisers…Whether you are looking for a team-building venue or a wonderful location for a family reunion, contact our planners and we would love to discuss what you have in mind! Our clubhouse is great for group functions and features an outdoor patio with seating. Call The Oaks Bar & Grill at (660)745-3030 to inquire about hosting your private function at The Oaks Bar and & Grill, or email us!